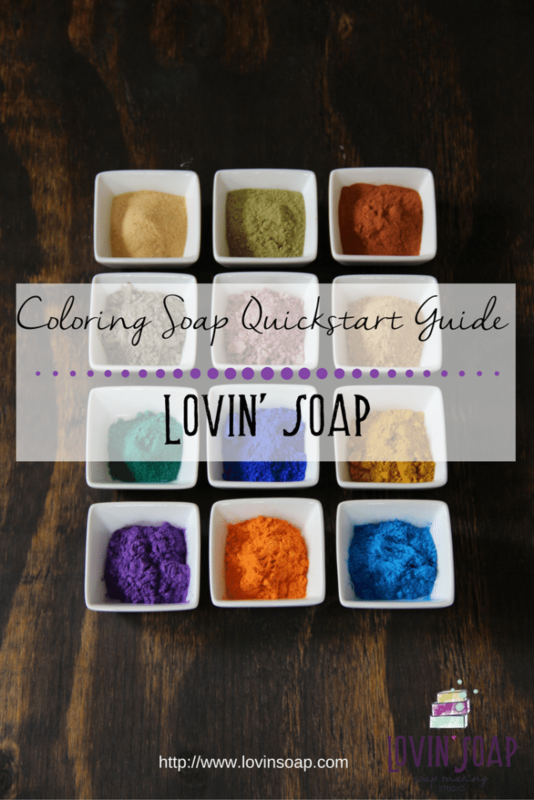 Below is a quick and basic guide for using colorants in your cold process soap. Oxides and ultramarines are some of the easiest colorants to use in cold process soap. They are pH stable and don’t tend to fade or morph. Both are synthetically produced these days to insure purity and reduce the level of heavy metal content. Colors produced: Iron oxides produce shades of red, orange, brown and black. Chromium oxide produces shades of green and teal. Color fading: Oxides are not light sensitive. Color bleed/migration: Oxides will not bleed (between layers or swirls) in soap, though can bleed onto a washcloth or color lather if too much is used. pH sensitivity: Oxides are not effected by the high pH of soap. Natural or synthetic: Oxides are synthetic, though they are “nature identical”, meaning they have the same molecular makeup as the once mined pigment from the earth. 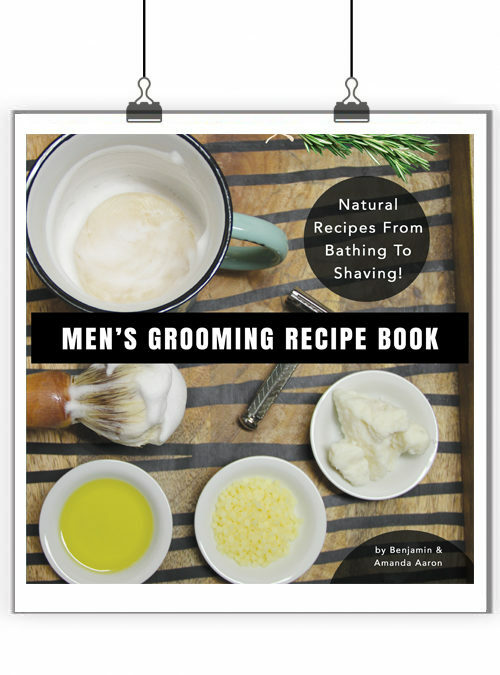 Usage rate: 1 teaspoon per pound of soapmaking oils. Use less for a lighter color. Colors produced: Shades of pink, blue and purple. Color fading: Ultramarines are not light sensitive. Color bleed/migration: Ultramarines will not bleed (between layers or swirls) in soap, though can bleed onto a washcloth or color lather if too much is used. pH sensitivity: Ultramarines are not effected by the high pH of soap. How do oxides and ultramarines color soap? Oxides and ultramarines color soap by suspension of their particles. 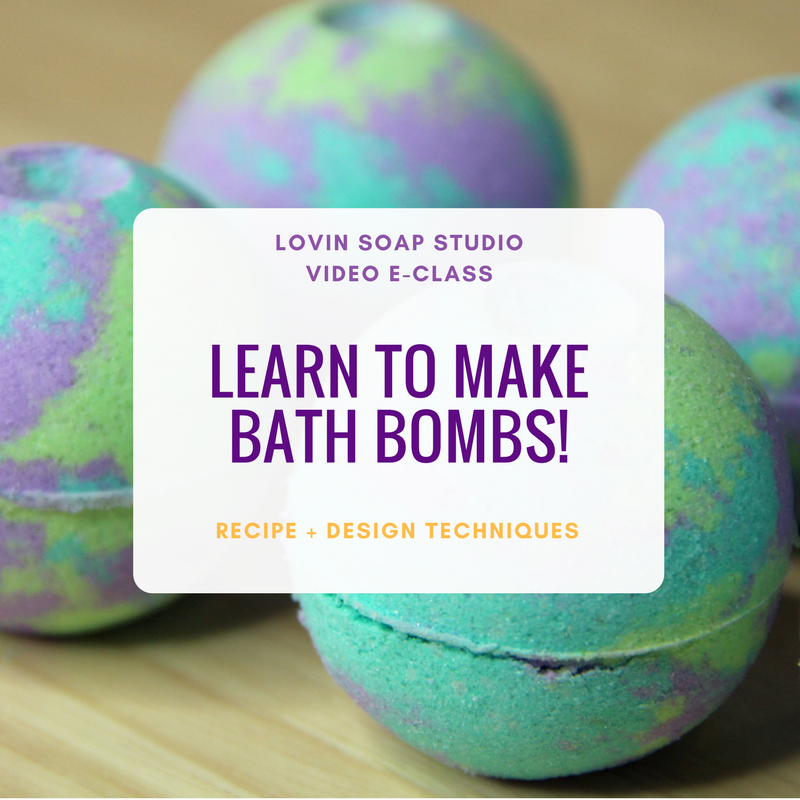 Unlike dyes (which dissolve) they simply disperse throughout the soap mixture. Oxides and ultramarines like to clump. They are hard to mix and disperse by hand. The use of a stick blender or mini-mixer helps to disperse the pigment. When do you add them to your soap? If you are making a single colored soap, you can add them to the oils before pouring in the lye solution. You can also add to traced soap, but adding them to the oils allows you to have enough time to mix in without your soap getting to thick. 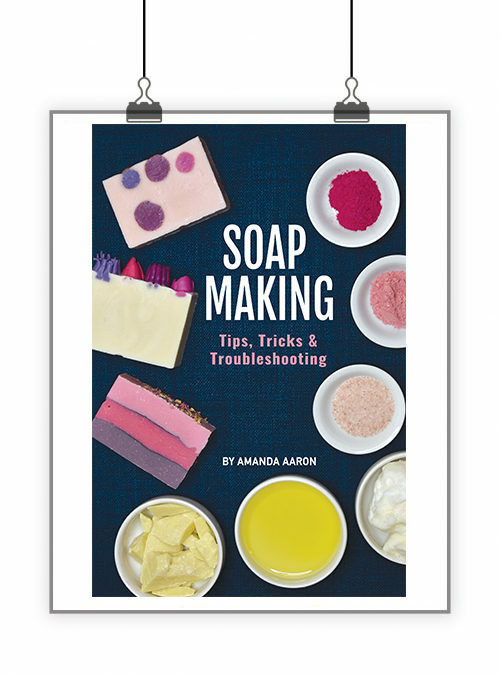 If you are making a swirled soap, you can add each color to thinly traced soap. I personally add the pigment dry in a scoop on top of the surface. I then place my stick blender right on top of the scoop of colorant, push down and pulse quickly. My soap is gray. You probably need to use more colorant. Lavender and pink ultramarines are notorious for producing gray soap when not enough color is used. Make sure you stir using a stick blender or mini-mixer. Stirring by hand does not disperse the colorant enough and makes a gray or speckled soap. My soap is speckled. Make sure you stir using a stick-blender or mini-mixer. You can also premix your mineral pigment with a light carrier oil or with liquid glycerin prior to adding to your soap. This helps disperse it. Use a ratio of 1:2 (pigment:carrier oil/liquid glycerin). For example, mix 1 teaspoon of pigment with 2 teaspoons of sunflower oil. My soap has colored lather. If your soap has colored lather then you need to reduce the amount of pigment that you are using. Red oxide is notorious for coloring lather. It is almost impossible to create a red soap and not have pink colored lather. Mica is colored using either dye (FD&C dyes) or mineral pigments (oxides/ultramarines). How do you know what is in your mica? Check out the INCI provided by the mica supplier. This INCI for a yellow mica tells us that it is colored using a dye (FD&C). This INCI for brown mica tells us that it is colored using iron oxide (mineral pigment). Learn to read the INCI of mica to determine which category it would fit in below. Colors produced: A rainbow of colors. Color fading: Mica + Dye can fade. Color bleed/migration: Mica + Dye can bleed and migrate in your soap. pH sensitivity: Mica + Dye can be sensitive to the high pH of soap and morph or change color. Natural or synthetic: Mica is natural. Dyes are synthetic and are not considered natural or “nature identical”. The resulting colorant would be a synthetic color. Color fading: Mica + Mineral Pigment are not light sensitive and do not fade. Color bleed/migration: Mica + Mineral Pigment will not bleed (between layers or swirls) in soap, though can bleed onto a washcloth or color lather if too much is used. pH sensitivity: Mica + Mineral Pigment is not effected by the high pH of soap. Natural or synthetic: Mica is natural. Mineral pigments are synthetic, though they are “nature identical”, meaning they have the same molecular makeup as the once mined pigment from the earth. How does mica color soap? Mica colors soap by suspension of their particles. Unlike dyes (which dissolve) they simply disperse throughout the soap mixture. If a mica contains a dye, the dye can dissolve (this creates color bleed). Mica doesn’t clump as badly as oxides and ultramarines and can usually be stirred in by hand when added to thinly traced soap. The use of a stick blender or mini-mixer helps to disperse the mica. When do you add mica to your soap? If you are making a single colored soap, you can add mica to the oils before pouring in the lye solution. You can also add to traced soap, but adding it to the oils allows you to have enough time to mix in without your soap getting to thick. If you are making a swirled soap, you can add each color to thinly traced soap. I personally add the mica in a scoop on top of the surface. I then place my stick blender right on top of the scoop of colorant, push down and pulse quickly. For smaller containers of colored soap, you can use a mini-mixer to disperse. 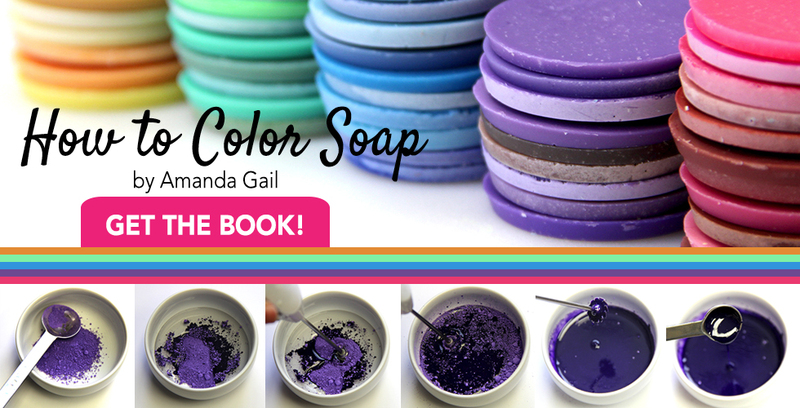 Get your copy of Amanda Gail’s How to Color Cold Process Soap eBook. 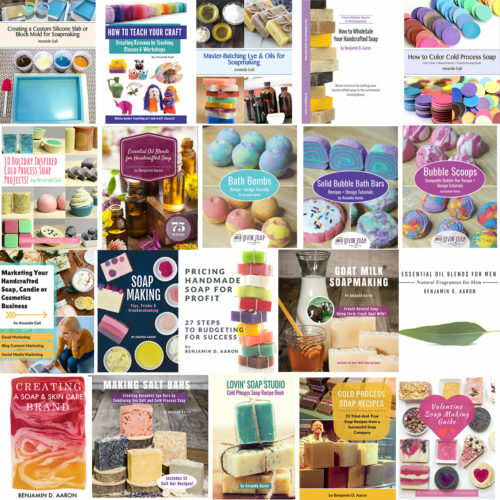 This eBook is the soap making industry’s ultimate and most up-to-date color resource for cold process soap. 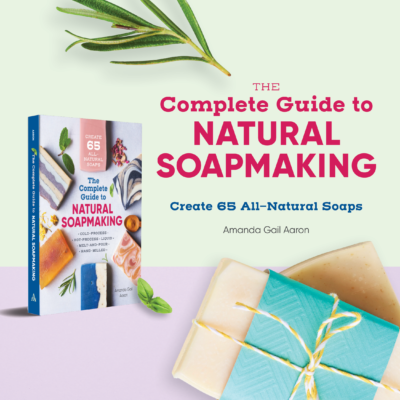 Whether you are soaping with mica, mineral pigments, cosmetic pigments, dyes, clays or natural spices and herbs, you will become a master at coloring cold process soap. 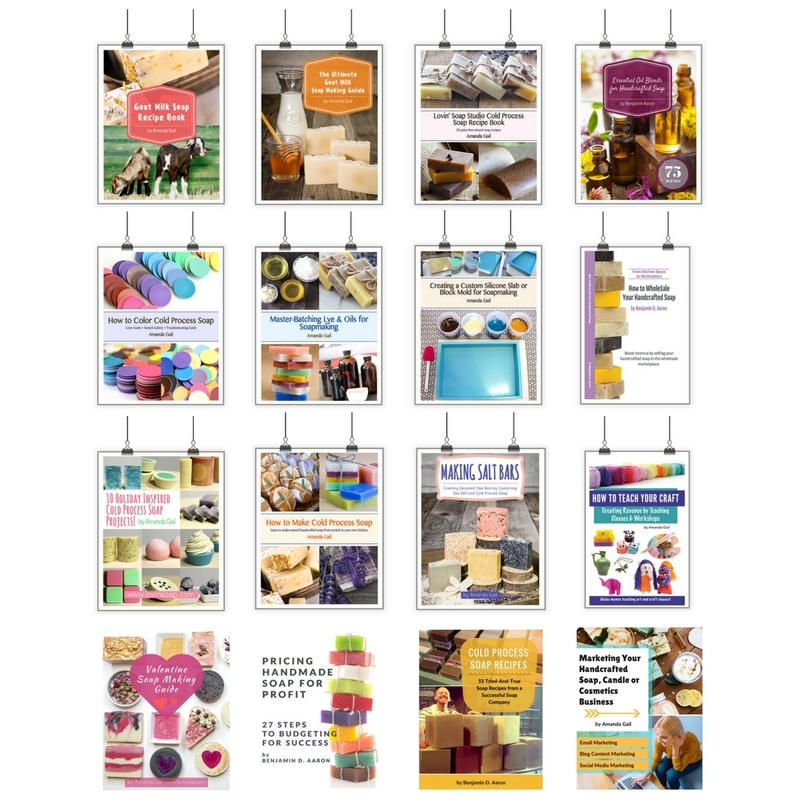 Bonus material includes 200+ Digital Soap Color Swatch Gallery and Troubleshooting Guide.